December tends to be a huge traveling month. I just got back from one trip and I’ll be heading on a family road trip in less than 2 weeks. What are the most important items in (and outside) YOUR suitcase? I know that I don’t leave home without a pair of comfortable shoes! This post is sponsored by Aerosoles but all thoughts and opinions are my own. I am all about comfort. I’ve never been much of a fashionista, but I do want to look nice when I leave the house. However, with very sensitive feet, having something comfortable on my feet is a #1 priority, especially when I’m traveling. Basically, I need comfortable walking shoes for everything that I do – from my travels around the country to my trip to the grocery store to the time I spend standing in my kitchen. 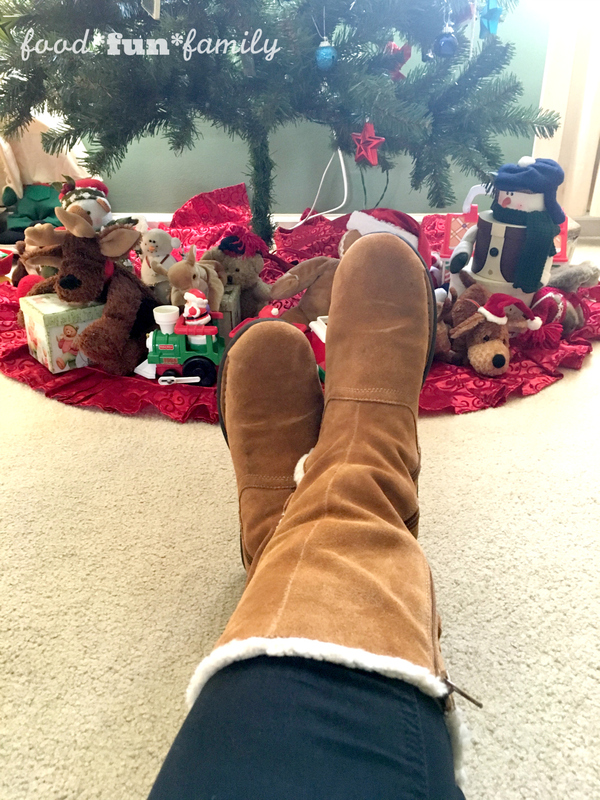 I love Aerosoles brand shoes because I know that I can do it ALL in the same pair of shoes – they’re a brand that represents extreme comfort to me, but they’re also CUTE. 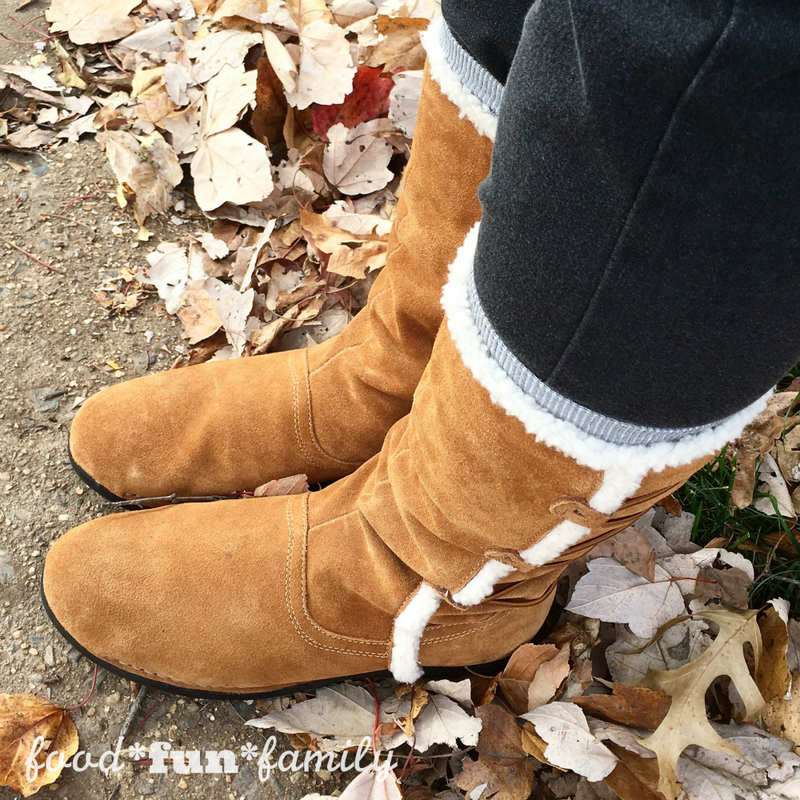 I wore my new Aerosoles boots (High Gear faux fur mid calf boots) on my recent day trip walking around Washington DC with my family. I also wore them as I trekked through ZooAmerica in Hershey this past weekend. And to a Christmas concert with a wintery dress and a scarf. I’ll be wearing them again tonight as I head to see the Nutcracker at the Warner Theater in DC. They are so comfortable that I feel like I’m wearing moccasin slippers. There was no “breaking in” period – they were comfortable right out of the box. And, what’s even more impressive is that I’ve gotten compliments every single time I’ve worn them. People love these boots! All Aerosoles shoes feature Diamond Flex Soles designed to disperse friction away from the foot as well as a Memory Foam Insole that soothes and pampers your feet. Running late and can’t find any socks? – Aerosoles shoes have a Sueded Sock and Lining to provide you with a breathable, soft layer to rest on. There are so many beautiful, comfortable shoes to choose from at Aerosoles. I already have a few additional shoes on my wish list. Which shoes would you add to YOUR holiday wish list? comfortable shoes are a necessity even for everyday wear. i am a big tennis shoe wearer. i used to have to dress for work but now. i am retired, so i wear tennis shoes 99% of the time. in the summer i wear flip flops or sandals. last time i had to wear heals i thought my feet were going to give out. 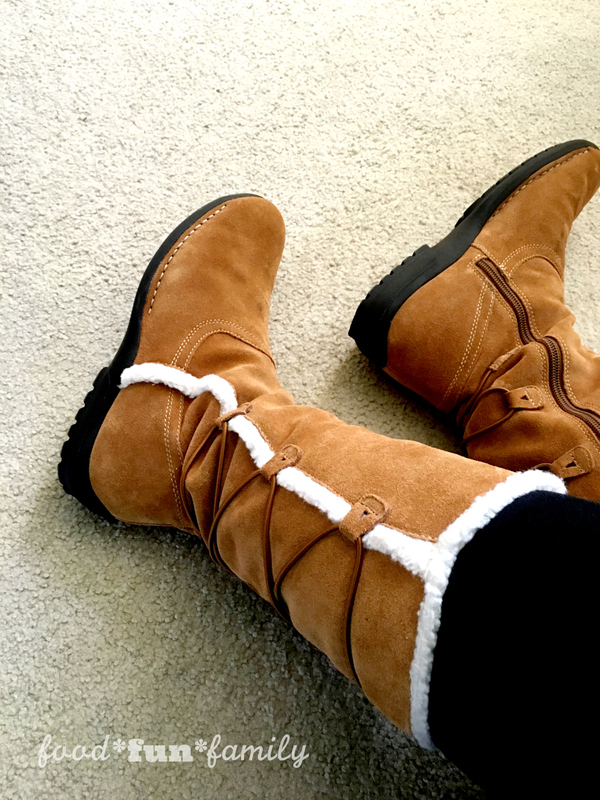 they are very nice looking boots, but it rarely gets cold enough for me to wear boots like this. Those boots are super cute! With traveling usually comes lots of walking so I can see how important comfortable shoes can be. I love how stylish these boots look! They seem to be really comfortable to wear, too! I like the AEROSOLES brand of shoes because they really are comfortable and so stylish. I like your boots. They are so pretty!